After a full day visiting Sapa town and its wonders, you will cycle along the only narrow road to explore the southwest remote area of Sapa, famous with breathtaking landscapes of the Muong Hoa and Ban Ho Valleys which are homes to most of Sapa’s ethnic population such as Black H’mong, Red Zao, Zay & Tay people. Combining with short trekking, the trip brings memorable experience and fun only in nice weather. The train arrives at Lao Cai station early at about 06.00, meet your guide and driver as you check out and an hour transfer uphill the Hoang Lien Son mountains to Sapa. Great views of valleys and terraced rice fields! Upon arrival in Sapa you will check in hotel if room available, freshen up and Breakfast. Your guide will show you around for a brief introduction of this charming town. At the market, ethnic minority people of different groups wearing their traditional costumes made by themselves comes every day selling local products includes vegetable, bamboo shoot, mushroom, medicinal herbs and souvenirs…there are chances to get intact and taking photos. Later you will follow the footsteps uphill to the top of Ham Rong Mountain for over viewing beautiful scenery of the town and surrounding area, paying visit to an orchard garden and a mini museum which tell you a lot about ethnic minority people living in Sapa and the northwest region. Later in the afternoon, you may wish to continue your walk down hill to visit Cat Cat village of the Black H’mong, 5 km away or drop in a local terraced café to enjoy your self as the cloud comes and goes. Starting your cycle from Sapa heading south along the narrow motor downhill and the first 7km features with steep road, wild nature and spectacular scenery of Fansipan Mount on your right side and then the large view of Muong Hoa Valley opens wide suddenly. You will cross the Muong Hoa River and exploring ethnic villages including Ta Van(Zay) and Lao Chai and Su Pan(Black H’mong). Continue 12 km further south, you will see another large valley in oval shape. As you cycle along the road winding on the left side of the valley at high elevation great view of the Ban Ho Valley dominated by green fields and stilt houses stretching far away under your wheels. Arriving in the Tay ethnic minority village of Thanh Phu at noon and enjoying a brief discovery of the village before Lunch. In the afternoon, your adventure continues up and down hills and valleys for another 20km with many photo stops before arriving in Sin Chai, a village of the Red Zao ethnic peoples. 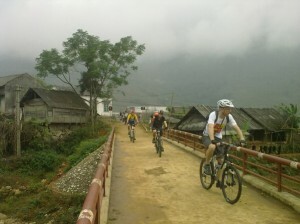 Here after a coffee break, you may choose cycling or walking for few hours around to explore the Red Zao unique way of life as well as enjoying sunset. Dinner with local dishes is served in a local house and stay overnight in the bamboo huts. Cycling up hills back is a challenge but not to tough and you are not in a hurry to make it flexible to have as many photo stops as possible. Arriving back to Sapa late in the afternoon, take a shower before transfer downhill to Lao Cai station for the overnight train back to Hanoi which arrives early the next morning. • Overnight on the train in first class 4 beds cabin with air-conditioning. 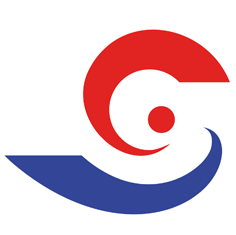 • English speaking guide, visiting fee and government permission, tax and service charge.